Dean Bernal has been likened to “a cross between Dian Fossey, Jane Goodall, and Crocodile Dundee”. Excerpts from the story of Dean and JoJo have been featured in countless books, TV specials and movies including the Academy Award nominated IMAX film Dolphins, narrated by Pierce Brosnan, PBS specials: In the Wild: Dolphins with Robin Williams, and Dolphins: Close Encounters with George Page, & featured on World News Tonight. BBC, Cousteau and Nature specials have also feature excerpts of Dean Bernal and JoJo. Dean has received letters praising his conservation work from the British Royal Family. His work has appeared in such magazines as Discover, People, GEO, Cousteau, Esquire National Geographic companion book to the Dolphin’s IMAX film, and National Geographic Kids Magazine. Parts of Dean and JoJo’s story have also been published with Jane Goodall, Tim Cahill, Cynthia Moss, Hermann Sülberg, and Johanna Weland and also published in numerous other quality books. Dean Bernal was raised in California coastal communities and graduated from the University of California, Santa Barbara. Dean first visited the Turks and Caicos Islands in 1981. Three small sociable dolphins swam in the shallow coastal waters. One would become known as JoJo and befriended by Dean and many island residents. The life of JoJo seems legendary, but the books and archive films are created directly from the observations, and research recorded by Dean Bernal on his amazing and heart warming journeys with JoJo. Dean created The Marine Wildlife Foundation to protect lone dolphins like JoJo by providing legal protection, medical attention, public education and research. JoJo was declared a National Treasure of the Turks and Caicos Islands, and JoJo’s caretaker and friend, Dean, was appointed his official warden. Dean Bernal is a spokesperson, film producer, director, and wildlife advocate. 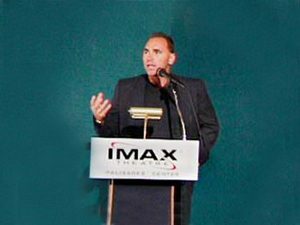 Dean is especially known for his many years of expertise leading whale encounter expeditions in the Turks and Caicos and Tonga and the academy award nomination in DOLPHINS IMAX by MacGillivray films. The Dean and JoJo Story US e-publication is in its entirety with a rare collection of photos. The European published version is translated by Jochen Lehner who translated books by Dalai Lama, Deepak Chopra, Debbie Ford, Marianne Williamson, Dan Millman, B.K.S. Lyengar, JH Brennan, Lama Surya Das, Neale D. Walsch, Bernie S. Siegel, and many other notable authors in the same merits of Dean and JoJo’s purpose. Dean has been a keynote speaker and lecturer at numerous colleges and universities, film premieres, and venues such as the Royal Geographic Society in London. 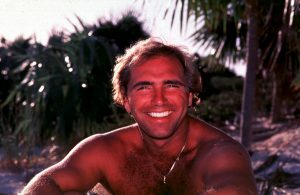 He has participated in lecture series with film promotions with Adventure Writer Tim Cahill; Underwater Explorer Jennifer Carter; Marine Biologist, Eugenie Clark, Jean-Michel Cousteau, Sylvia Earle, Virginia McKenna, Richard Ellis, Chris Newbert & Birgitte Wilms, Roger Payne, Jim Stewart, Bob Talbot, Stan Waterman, Wyland, and many others. Today, Dean uses his ongoing experiences with his private expeditions and as a key note speaker for incentive building and also a promoter of peace by sharing his books, films and the award-winning Dean and JoJo anti-bullying and peace resolution DVD curriculum program with teachers, schools, therapists, and psychologists.